Dwindling forest population in our planet is a serious concern for all of us. 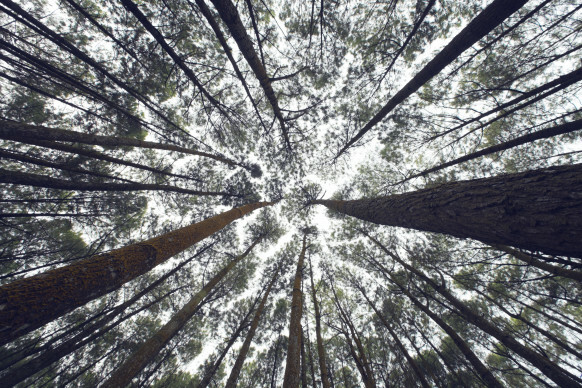 Forests are vital for mitigating the ever increasing effects of climate change, as they act as carbon sinks absorbing daily CO2 emissions, and create oxygen for the living beings to survive. They are an inseparable part of our ecosystem’s survival. 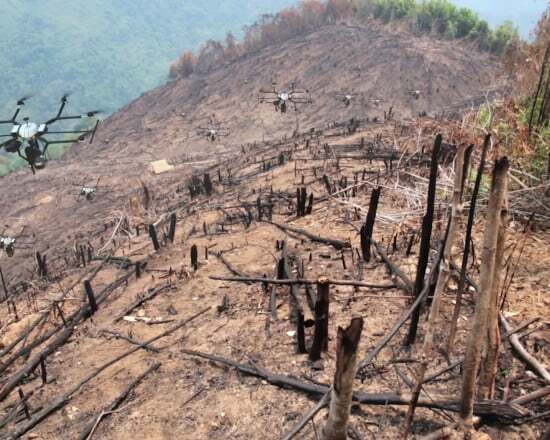 However, new procedures and technologies are required to stem the increasing rate of deforestation nowadays. Planting trees is a laborious and time-consuming process, particularly in remote forest locations. DroneSeed, a Pacific Northwest company, is looking to drastically modernize this process. They plan to integrate technology for rapid and convenient plantation and growth of forests. The company has devised squadrons of drones which are being used for multiple purposes, such as planting seeds, spraying for invasive species, and monitoring the growth of trees. It can be justified by the fact that the 7 million acres of land is consumed by these timber companies in Washington. 190 healthy trees are required to be planted per acre within three years to maintain the sufficient level of forestation. Otherwise, a forest takes about 100 to 300 years to rebuild naturally. The drone is also required for replanting forests in the steep and rough terrains like the Pacific Northwest. The process is a very costly and painstaking, and requires heavy machinery and a lot of manpower. The drones use their 3D mapping techniques and identification of micro-sites. They are capable of flying anywhere on the terrain, and give seeds ample time for developing into healthy trees. The process of clearing out the previously logged grass and herbs is usually done via a helicopter or slow and laborious manual labour. The DroneSeed’s technology will be able to carry an 11-liter container of herbicides, spot the location within two centimetres of GPS coordinates, and then spray efficiently to kill all the unwanted plantation. After the removal of undesired plantation, the drone will fire a seed into the ground at a rate of 350 feet per second (384 km/h) pneumatically. This way, a single drone can plant up to 800 seeds per hour. It is amazing when compared to human-planted 800 seeds per day. At this rate, the drone will cover an acre (0.4 ha) of forest in 1.5 hours on a single battery charge only. Some might argue that this is just another case of the technology taking over human jobs. However, when it comes to the forestry and logging department, this is a good thing. The plantation is a physically demanding and a dangerous job. The forestation companies always face a lot of problems in finding and retaining workers. The company is waiting for a permission to apply herbicides, and estimates that their drones will be up and running soon. DroneSeed provides an overview of the drones for plantation in the video below. Do you have any other information to add about this amazing drone? Let us know in the comments’ section below!